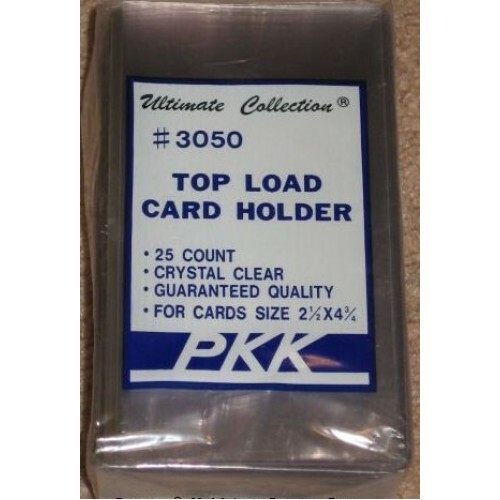 Pack of 25 PKK Tall / Widevision Trading Card Topload Holders. 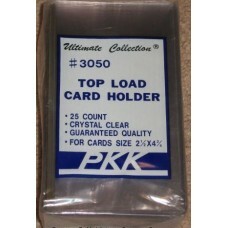 The PKK tall card topload holders are designed to hold cards, photos or prints that measure no bigger than 2 11/16 X 5 13/16. Do you have any questions about Pack of 25 PKK Gameday / Widevision / Tall Card Topload Holders?